Packet of seed. I recommend Suttons Seeds for reliability. Gardening Direct also sell lots of great plants, seeds, and garden accessories with free delivery! 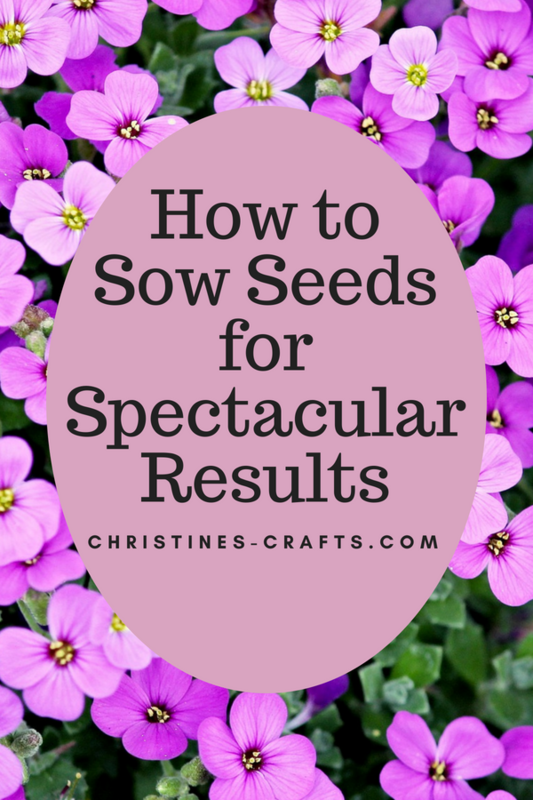 Read the seed packet for detailed instructions on sowing seeds. Most seed packets tell you if you need to soak the seeds overnight and how deep to sow them. It will also tell you the best time for sowing them. 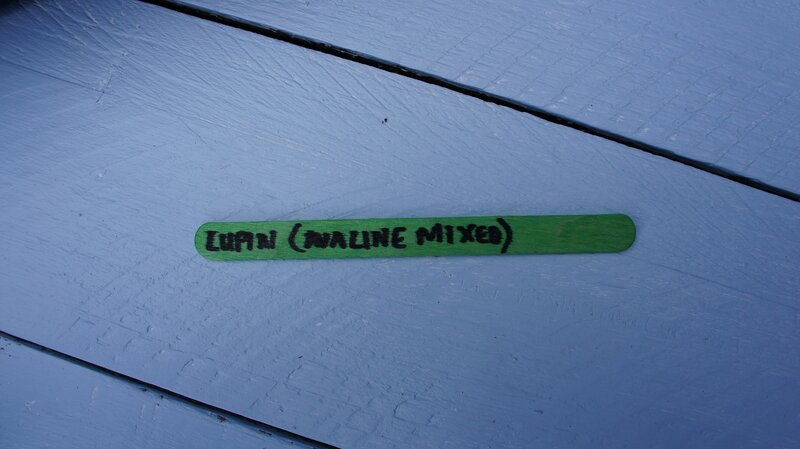 I soaked the lupin seeds overnight as per the instructions on the packet. 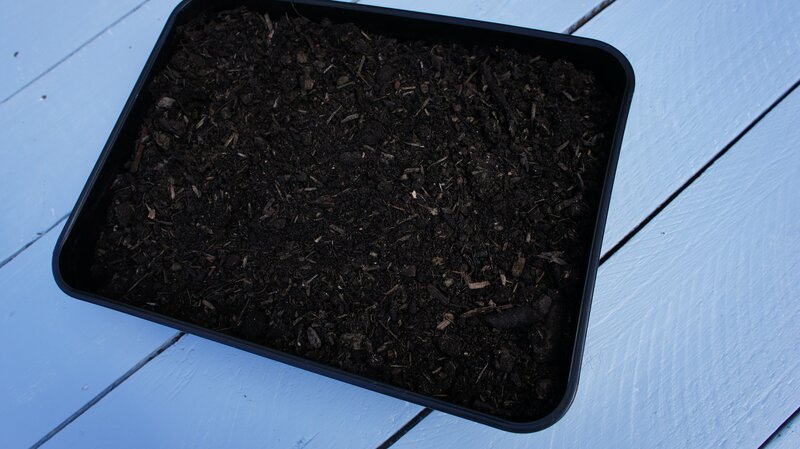 Fill your seed tray with seed compost just leaving a small space at the top of the tray (about 5mm/1/4″). 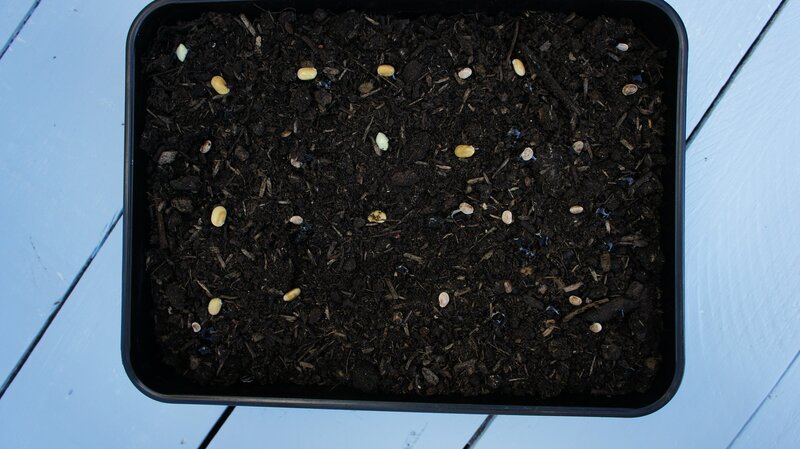 Place the seeds on the compost surface. In my case the seeds are quite large so I was able to place them individually. Most of my seeds were light in colour but some are dark brown and do not show up well on the picture below. If yours are very small then sprinkle them very thinly. You do not want too many close together as they will not grow into strong seedlings. They will be overcrowded. Read the packet again! 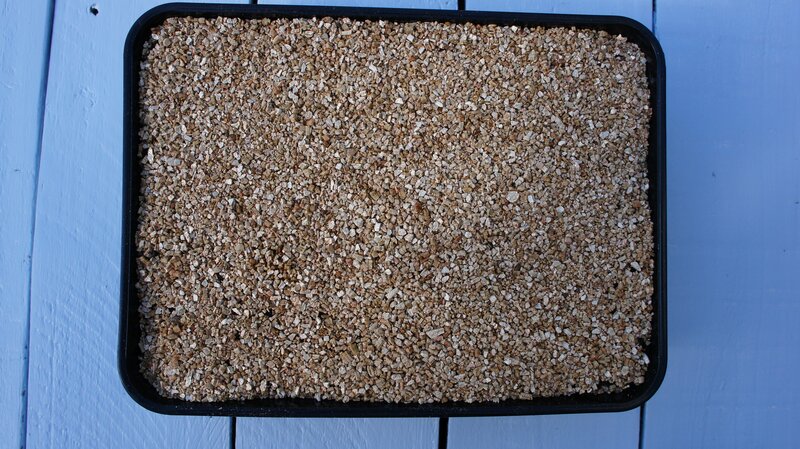 If it says to cover the seeds then cover them with a thin layer of the vermiculite or seed compost. If it says do not cover them go straight to step 4. Water the seeds thoroughly. I use a small watering can with a fine rose so that the seeds are not moved about. It takes a little longer to water but it is worthwhile. Add a label to the tray. 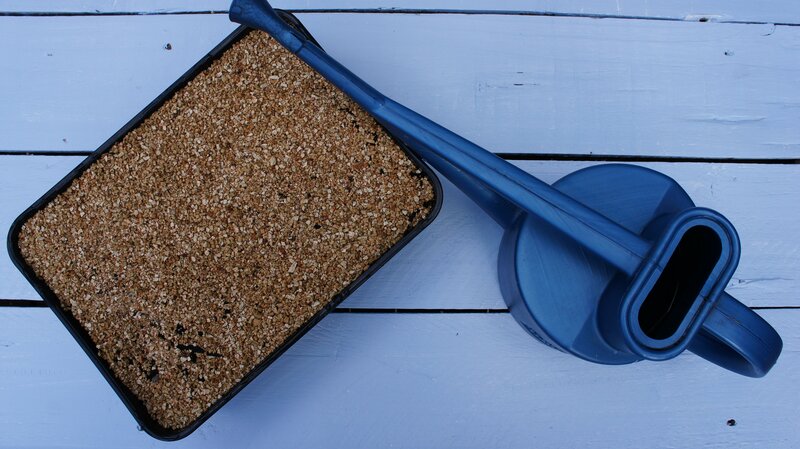 You can simply place the seed packet under the edge of the tray or I prefer to use wooden craft sticks that are really inexpensive to buy for children’s crafts. 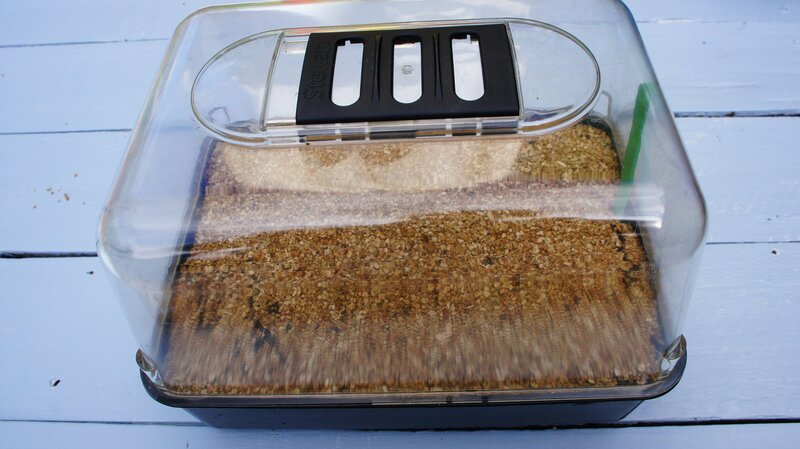 Then place the propagator over the tray (or place the whole tray inside a clear plastic bag). Now you need to keep an eye on the tray. Make sure it remains moist but not too wet or the seeds can rot. 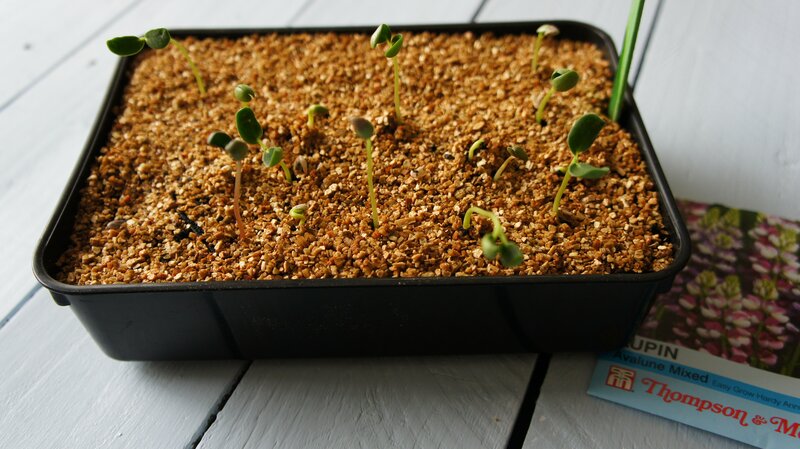 Your seed packet will tell you how long germination should take. In my experience they sometimes germinate quicker than you expect if it is very warm. I simply place my seed trays on a sunny windowsill but you can use a heat mat to place under the tray and keep the seeds consistently warm. I have not needed one and I have grown lots of plants from seed including lavender, sweet peas, zinnias, tomatoes and marigolds. 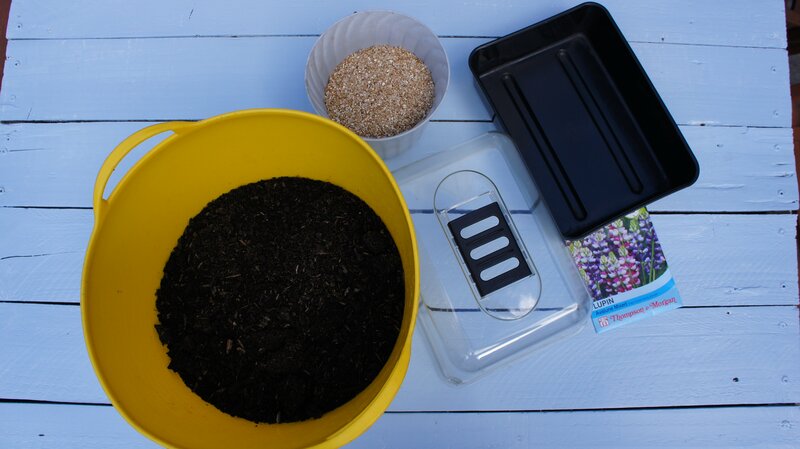 Sowing seeds is really simple and there are nearly always instructions on the packet so you do not need to remember what conditions they need or when to sow them. In another post, here, I show you how to prick out your seedlings and grow them on for successful flowering. You can use the plants you grow to plant up baskets and containers as I did in this article. 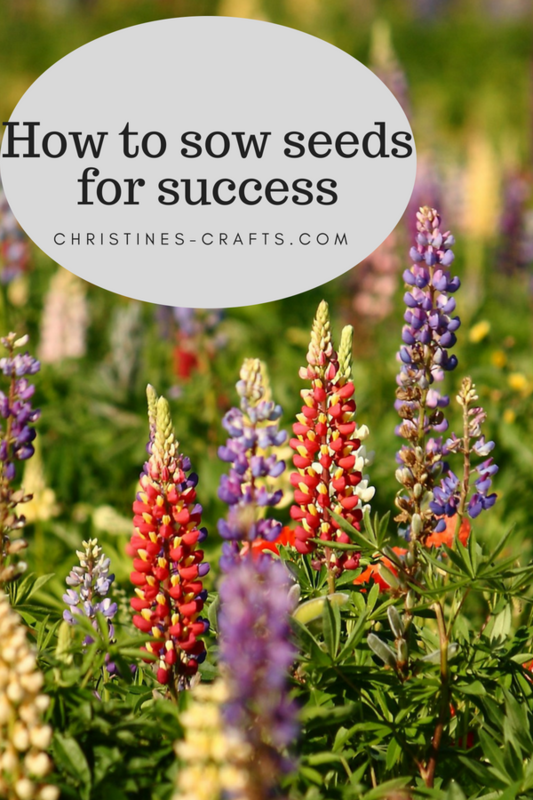 Remember to pin this article on Pinterest so that you can find it later and to let me know what seeds you grow. I love this! Quality seeds are definitely key! I love your tips!! I would love to someday plant a flower patch in our backyard! Glad you found it useful! I love the excitement of growing plants from seed!